New to SFS? Register your details now! Sign In to SFS using your FB login details. That’s one less thing to remember. Allows you to see which of your friends use SFS. See which of your friends use SFS. contacts and lots lots more. Search for staff and staff ratings, post jobs and more. Find out more. Watch our video. Find quality staff, advertise jobs & win new business. Access contacts, info & tools. I gained a large number of staff for future work. I would definitely use StuckForStaff.com again. Results went very well - a lot of new faces. Very pleased. View my contact details, availability, and stats. 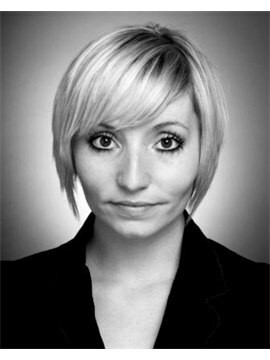 I am an experienced actress with lots of confidence working and dealing with other people. Whilst at the Garrick Theatre I covered the Supervisor/Cashier on many occasions cashing up the whole Theatre. I play Piano, Flute, Alto Saxophone Tenor and Piccolo. I have worked at the Oval cricket ground for a major test match. Lots of leafleting! The Wall St Journal, Ideal Home Exibition, Epsom Race Course. Team Leader for 'The Londoner' paper. I have played Columbia in 'The Rocky Horror Show' European Tour, and recently Daisy/Brenda in 'Dreamboats and Petticoats' at the Savoy Theatre in London. I have worked in The Greyhound Pub (Assistant Manager), Theatre Royal Drury Lane, Aldwych Theatre, and Garrick Theatre all on bars. I own my own car. I trained for 3 years at The Urdang Academy in Covent Garden and have been a swing in 'Chitty Chitty Bang Bang' National Tour. Last year I appeared in 'Gotta Sing Gotta Dance' UK Tour. © 2019 Stuck For Staff. All Right Reserved. This text will be sent to your friends. Just found this great site www.StuckForStaff.co.uk which you would like for the Promotions, Field Marketing and Brand Experience industry. Check it out.